111 pitches. That was the pitch count last night for St. Louis Cardinals rookie pitcher Michael Wacha in the top of the 9th inning with no hits against him. 111 pitches and 2 outs. 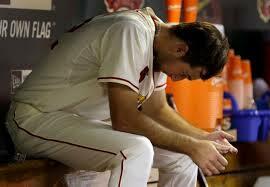 111 pitches and 1 out away from becoming only the 12th pitcher in St. Louis Cardinals history to pitch a no hitter. 111 pitches. And then came pitch 112. As Wacha released the throw the ball soared smack into the bat of the opposing hitter. Pitch 112 soared over the head of Wacha, his glove grazing the ball as he stretched his arm, trying to stop the ball from hitting the ground. But, to no avail. Pitch 112 was a hit. The no-hitter was missed by no more than an inch. 112 pitches. What a difference one pitch makes!! It’s kind of like that in life sometimes, isn’t it? Everything seems to be coming together, dreams seem an inch within reach. And then, there’s pitch 112. The promotion you were sure of went to someone else. The contract on your dream house falls through. You get yet another rejection letter. You find yourself throwing up in the bathroom behind the sanctuary on Christmas Eve. Oh wait, that’s only in my family!! The point is, life happens. Plans go awry. And it can hurt–a lot. Kind of like a thorn in your side. And like Paul, in those moments when it all seems to fall apart, we need to remember that God’s grace is enough. Our failures and mistakes and disappointments are okay. In fact, they’re perfect. They’re an opportunity for God to step in and show His glory and majesty. They’re an opportunity for God to show His strength, and for us to experience His love in a magnificently remarkable way. God shines on pitch 112. For the record, Michael Wacha didn’t view pitch 112 as a failure. With a shrug and a big smile he said, “I guess it just wasn’t meant to be.” For him, 8 and 2/3 innings of no hits was a great game.